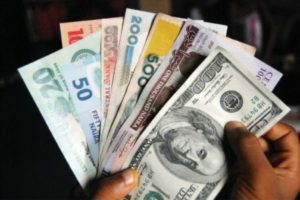 The Naira value at the parallel market is falling towards N500 per dollar even as the Central Bank of Nigeria (CBN) warns of an influx of fake Hong Kong dollars (HK$) in the country’s foreign exchange market. The Naira had on Tuesday depreciated in value from N473 to the dollar to N480 as liquidity pressures mounted on the currency. It dipped further on Thursday at N482 to the dollar and opened on Friday at same rate while it remained stable at N305 to the dollar at the interbank market. Meanwhile, the CBN yesterday raised alarm on the influx of fake HK$100 notes in the country. According to the bank, the fake notes which were printed on normal A4 paper using inkjet printers are of poor quality. The apex bank noted that the fake HK$100 notes lacked embossment and the feel of security features as silver marks were stuck on the notes to appear like the holographic security thread on the real bills. “Also, the HK$100 numerals failed to turn gold and green when viewed from different angles”.